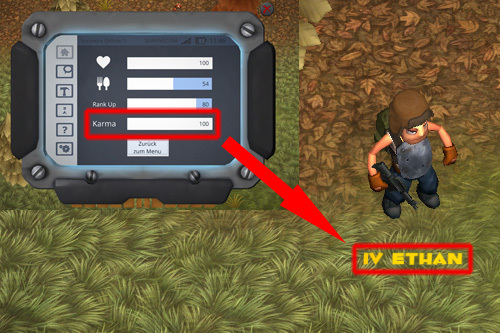 I just created a small guide or tutorial in Immune's Steam Community which shows you how to start your own Immune server for singleplayer or private games with your friends. Weapons have a condition now instead of breaking randomly. Fixed: Ranged weapons never broke. Now they do. 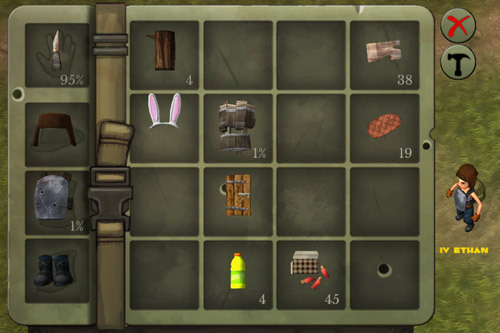 Objects with a function (like storage boxes, resources or trash bins) trigger a mouse over effect now. If you hit an empty trash bin, it now tells you that's it's empty. Local chat text stays longer. Added some Mutants to main town. Read the full update announcement on Steam. Picture: New mouse over effects. Picture: Weapon conditions displayed in the inventory. Sales Are Good For Your Karma! To celebrate our karma update and of course to improve our own karma, we reduced Immune's price by 30%! PS: Immune is now also available on IndieGala. You gain karma over time. You lose karma for attacking other players. The amount you lose depends on the karma of your victim. That means if your victim has 0% karma, you don't lose karma at all. Players with 100% karma and golden names are called saints and are immune to damage from other players, but not immune to damage from cars. Killing / damaging players with your car will of course also decline your karma. The very holy saint Ethan standing in the forest. You can now play with a female player character. 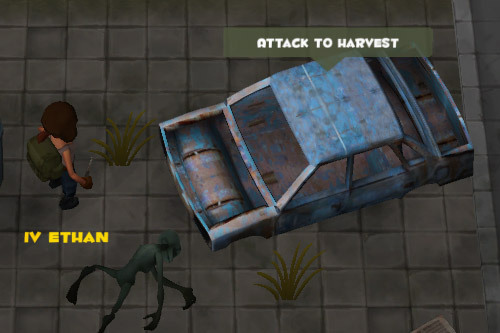 You are now able to ransack trash cans, tents and broken cars by punching them. You can read the complete update logs on Steam. The new female player model finding an arrow in the trash cans.